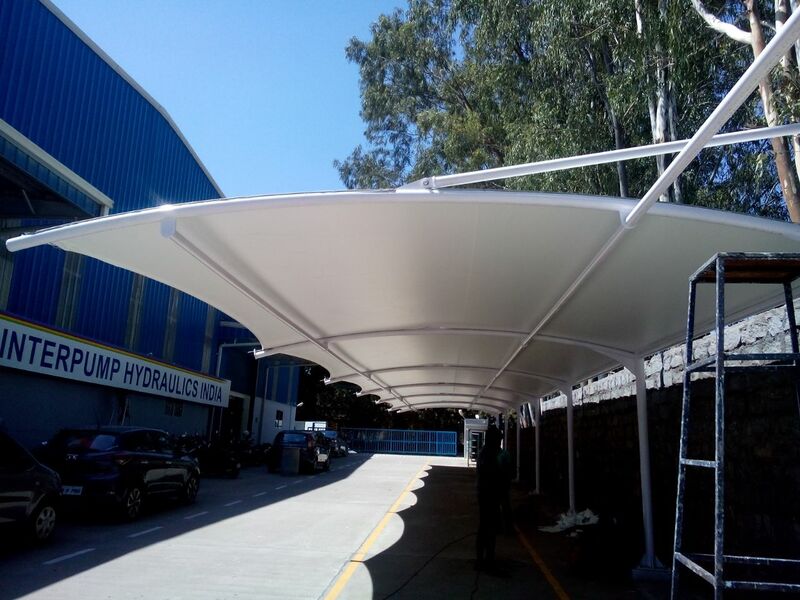 TENSILE FABRIC STRUCTURES IN CHENNAI We are counted amongst the foremost supplier of superior quality Fabric Tensile Structures. Designed to meet the building code requirements set forth by the governing body where the structure will be used, these structures are manufactured by using premium quality raw material and sophisticated technology. The offered structures are tested by our quality examiners on varied parameters so as to ensure their durability. Tensile Membrane Structures In Chennai Creative Interiors and Roofing predominant supplier of superior quality Fabric Tensile Structures. considered to meet the building code requirements set forth by the prevailing body where the structure will be used, these structures are manufactured by using premium quality raw material and sophisticated technology. The offered structures are tested by our quality examiners on varied parameters so as to ensure their durability.